7 Online Writing Communities That Every Writer Should Join! Being a writer can be a lonely profession. This is because you are expected to do your work on your own. And this is understandable because no one else can write for you. No one else can convey your ideas better than you and above all else you won’t want other people doing your writing for you. But there are times that the solitary existence of a writer can be overwhelming. Being a writer, especially when you’re writing a book can be taxing emotionally and mentally. And as much as your family and friends can try to help you during the book writing process, they will not fully be able to understand your struggles unless they are writers themselves. So if you want to be able to fully reach your full potential as a writer, you will need to surround yourself with people who know what you are going through. 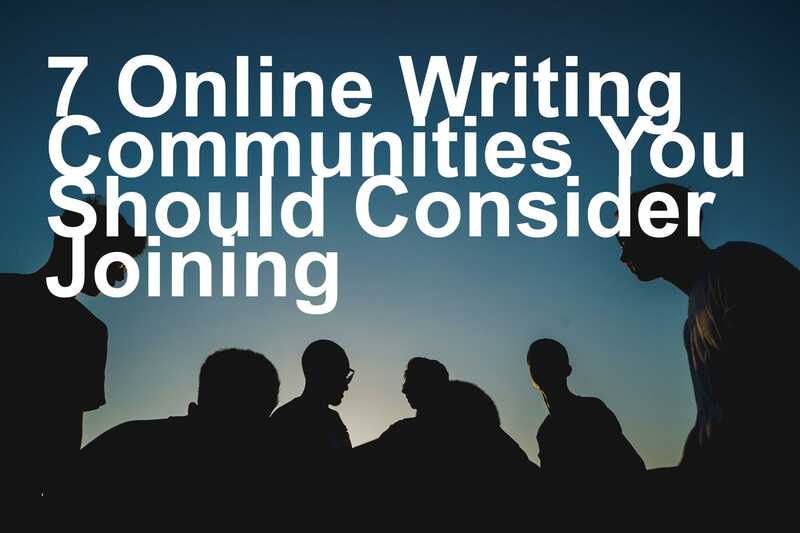 Luckily, there are a myriad of online writing communities that you can join. Here are 7 online writing communities that every writer should join. BOOKRIX is specifically for self-publishing writers. This site is a safe and conducive author circle for authors who want to show off their work without judgment or lose of reputation. The site also offers not only self-publishing help but is also a great place for anyone to grow further as a writer. The site caters to a myriad of genres and is quite multi-faceted. Critique Circle is particularly one of the oldest writing communities active. The site was created in 2003 and caters to a myriad of writers. This site is considered as one of the first online writing communities and boast of a passionate author circle. This site is an ideal site to get great book reviews and choice book writing tips. Through this site, writers can create a free account and form a rapport with fellow writers. Overall, the site may be one of the oldest in existence, but it is still quite a potent and effective writing community. Related Reading: 7 Great Ways to Enhance Your Book Cover Design! The site has a utilitarian feel to it, and lacks the frills some sites have. But the Hatrack River Writers Workshop is full of substance, and the site offers not only great writing workshops, but is also a great place for any beginner writer to develop a realistic view on the book writing process. The site also discusses great and up to date topics that are not only relevant but invigorating as well. The NANOWRIMO can be considered both an event and a writing community. It is a writing community made up of people who believe that they can finish an entire novel in one month. A daunting challenge, but a challenge that many authors eagerly accepted and completed. NANOWRIMO is highly respected and gives a multitude of great writing tips. This writing community site is perfect for writers looking for honest and accurate book reviews. The AgentQuery Connect site is also an ideal writing community to find an agent. By using the sites many features you can not only learn great book writing tips but also find new ways to market your book. All in all, this writing community is a great place to start your writing career. Absolute Writer Water Cooler is truly a great place for writers to hang out, show their works and get great writing advice. The site covers a myriad of genres and boasts of numerous resources such as events, book promotion and great advice on how to improve as a writer. The Absolute Write Water Cooler is a truly multifaceted online writing community. Related Reading: 5 Very Handy Tips for Choosing a Pen Name for Yourself! If you are thinking of joining Scribophile, be prepared to have your work critiqued a lot. This is because Scribophile is known as a writer community that focuses mainly on writing skills. It is also unique because members can critique each other’s work. So if you are thinking of joining this writing community, you should expect to do some critique work too. You should also know that Schribophile holds contests at a regular basis and members stand to win a modest prize. But aside from critique work, you will also be given great resources and tips that will drastically improve your skills as a writer. Overall, being a part of a writing community is a surefire way for you to grow as a writer and achieve your full potential. Aside from the sites listed in this article, there are a multitude of other great writing communities that you can join. So don’t be afraid to go out of your comfort zone. 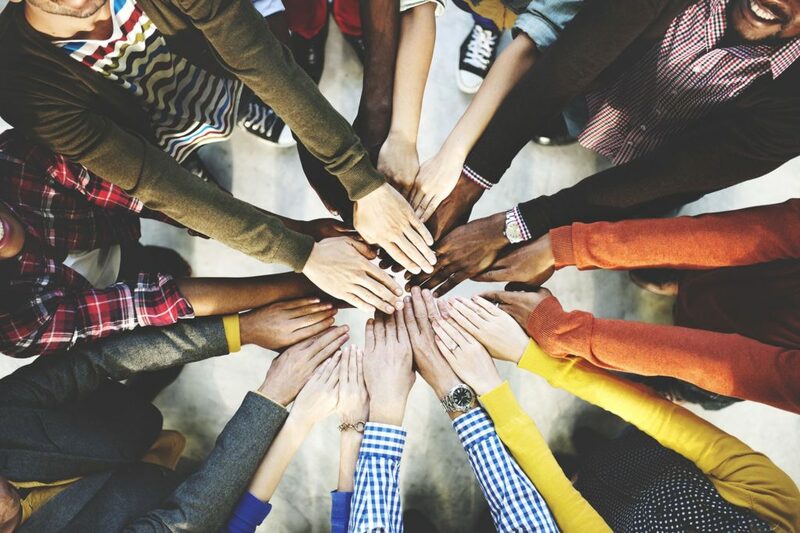 Join as many communities as you can and make as many friends as you can. And most of all, learn and grow as a writer along the way.